Christmas is just around the corner. 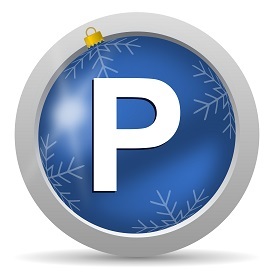 Whether you are shopping or enjoying Christmas markets in the city centre or catching a flight home to see family or for a end of year break, we have parking at all the places were you need it most, just in time for the festive season! Looking to hit the shops for unique or bargain gifts or just wanting to socialise and relax with friends at a Christmas market? Reserve parking while you still can at Q-Park Manchester Piazza, Q-Park London Oxford Street in London and Q-Park Birmingham Brindley Place in Birmingham. If in Scotland, you can sample the magic of the Christmas by booking Q-Park Edinburgh OMNI when in Edinburgh and Glasgow Q-Park Glasgow Jamaica Street if in Glasgow. Flying home to reunite with family this Christmas? If you are flying from London Luton, choose Paige Airport Parking Luton for a stress-free travel experience. Planning a last minute break abroad instead? You can reserve parking right now through the ParkVia website from Doncaster Airport Car Park in Doncaster or if in Glasgow, Scotland, Direct Parking Glasgow Airport. So don't leave parking to the last minute this Christmas. Pre-book online today to get your holiday season off to the best possible start!